Lok Sabha passes the AADHAAR (targeted delivery of financial and other subsidies, benefits and services) Bill, 2016. It was introduced as a Money bill (under article 110) so that it can be passed hassle free or without opposition objection in Parliament. As, a money bill need to be tabled first in Lok Sabha and then, Rajya Sabha which is bound to pass it within 14 days otherwise it is considered to be passed and sent to the President for assent. AADHAR or Unique Identity Number (UID) will provide a legal backing to government plan to pass on the targeted subsidies in person's account. 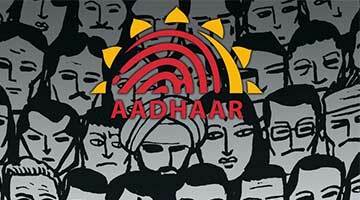 Individual will have to provide AADHAR number to receive government subsidies for various purposes. It is intended to save government's money which is disseminated to many intermediaries instead of reaching to the beneficiaries. Through targeted subsidies directly into the bank account of beneficiary, government will try to eliminate the pilferage and leakages in the system. To get AADHAR number, a person is entitled to be an Indian citizen (resided for 182 days in year preceding to the year applying for AADHAR). It can be obtained from any UID authority office. A person has to just provide his, (i) biometric (photograph, finger print, iris scan) and (ii) demographic (name, date of birth, address) information. A person enrolled for UID number will be asked to share his/her information. The individual will be informed of, (i) the manner in which information is shared, (ii) nature of receipts with whom information has been shared, (iii) right to access, when he/she is enrolled for AADHAR. Any public or private authority can accept it as a proof of identity, but it will not be used as a proof of citizenship or domicile. The UID authority will consist of a chairperson, two part-time members and a chief executive officer. The chairperson and members are required to have experience of at least ten years in matters such as technology, governance, etc. If an entity or agency request to authenticate the AADHAR number of an individual, will have to take consent of that individual before getting information from UID authority. An entity ot agency can only use information for which the person has given the consent. UID is not authorized to share Biometric information such as finger print, iris scan, or other biological attributes. UID can reply in positive, negative or other appropriate response to the requesting agency demanding the verification of a person's identity. A person may be punished with imprisonment upto three years and minimum fine of Rs 10 lakh for unauthorised access to the centralized data-base, including revealing any information stored in it. If a requesting entity and an enrolling agency fail to comply with rules, they shall be punished with imprisonment upto one year or a fine upto Rs 10,000 or Rs one lakh (in case of a company), or with both. In the interest of national security, Joint secretary in the central government or a Court can give an order of revealing- Individual's AADHAR number; Biometric information; Photograph; and Demographic information. The decision of Joint Secretary will be reviewed by an Oversight Committee (comprising Cabinet Secretary, Secretaries of Legal Affairs and Electronics and Information Technology) and will be valid for six months. No Court can take cognizance of any offence of its own in this matter, unless a complaint is made by UID authority or a person authorised by it. Although the government intentions are to provide the subsidy benefit to the right people and reduce expenditure burden, yet it has few issues which need to be encountered. And, that's why opposition wanted to the bill should be sent to Standing committee. Comments "Brief about - The AADHAAR (targeted delivery of financial and other subsidies, benefits and services) Bill, 2016"